What makes Love, Mom different from other mom blogs? We have a niche audience that targets hard-working mamas who possess a creative and driven entrepreneurial spirit whether they work for themselves or for someone else. We celebrate the woman who is passionate about her career as much as she is about motherhood and love to provide her with feel-good intel that helps her mesh her two worlds with ease and grace. P.S. We don’t dabble in parenting or baby advice because we think there are so many invaluable resources out there that are amazing at offering that kind of info already. What kind of advice do you have for new moms? We love to feature moms in every age and stage of parenting because we believe we can learn from each other whether there’s a toddler or a high school graduate in their lives. We’ve heard from new moms who told us they love reading about our seasoned mamas. They discovered valuable insight on how to juggle their passions with the demands of parenthood from women who have already enjoyed their journeys as working moms to little ones. Do you accept opportunities for sponsored posts? Of course. Similar to how radio, magazines and TV monetize themselves, we create a revenue stream via advertisements and sponsored content to help keep us alive and kicking. We appreciate the support so we can hopefully make Love, Mom into a full-time gig. We do our best to present the unique messages belonging to our brand partners in a way that’s engaging, relevant and helpful. To find out more about collaborating with us, click here. Will you publish guest posts or pitches from bloggers and writers? How can our store or product be featured on Love, Mom? We have a new section called Shop Tales that profiles the minds behind online and retail shops. If you have a stylish new product or store that you’d like to tell us about, contact us at hello@lovemom.ca. I’d love to have my life and style profiled on Love, Mom. What do I do? Send us an email because we’d love to hear your story. Keep in mind we’re a small team of 2 who are juggling freelance careers with this blog and our little ones and only publish 8 to 10 posts a month. We do our best to accommodate requests that fit into our schedule and reflect our community of mamas. What’s next for Love, Mom? Phew. We’ve already done so much since launching a little over a year ago but naturally, we can’t help but dream about the future. 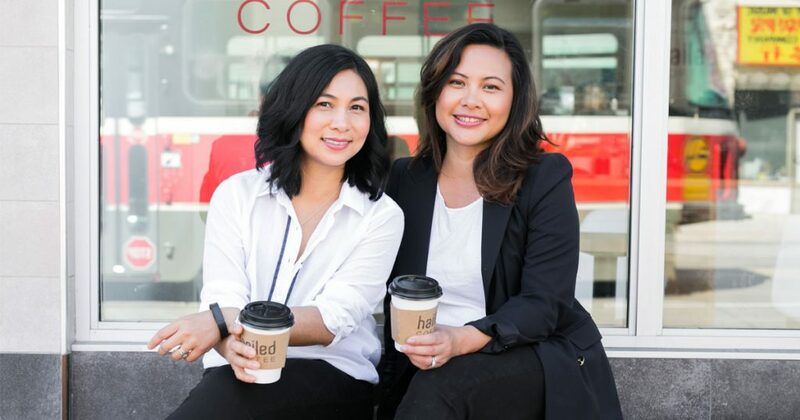 Look out for Shop-Up markets curated by Love, Mom cofounders, Tracey Ho Lung and Juliette Lie Baxter. We’ll be focused on bringing chic and local must-haves together from entrepreneurial and stylish makers. Plus, we’re planning more events that will bring moms together so we can share, learn, grow, network and bring big ideas to life.